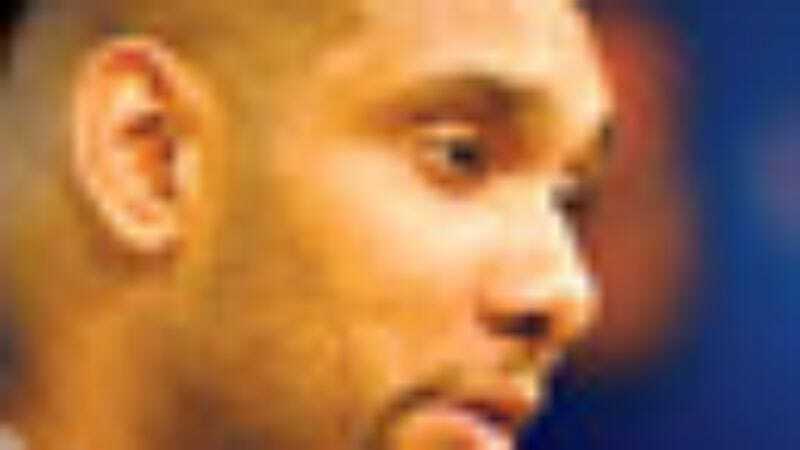 SAN ANTONIO—Two-time NBA MVP Tim Duncan has been sitting in his living room next to his packed gym bag and clad in his Spurs warm-up jersey for the past three months, concerned teammates reported Monday. "I called him several times and he didn't pick up," said guard Tony Parker. "And when I got worried enough to go look through his window, I saw him just sitting there. I'm pretty sure he's conscious and not in any pain, but it doesn't look like he's moved since late June." The Spurs front office confirmed that Duncan requested a call at midnight on Oct. 1 to ensure he did not miss the first day of training camp.